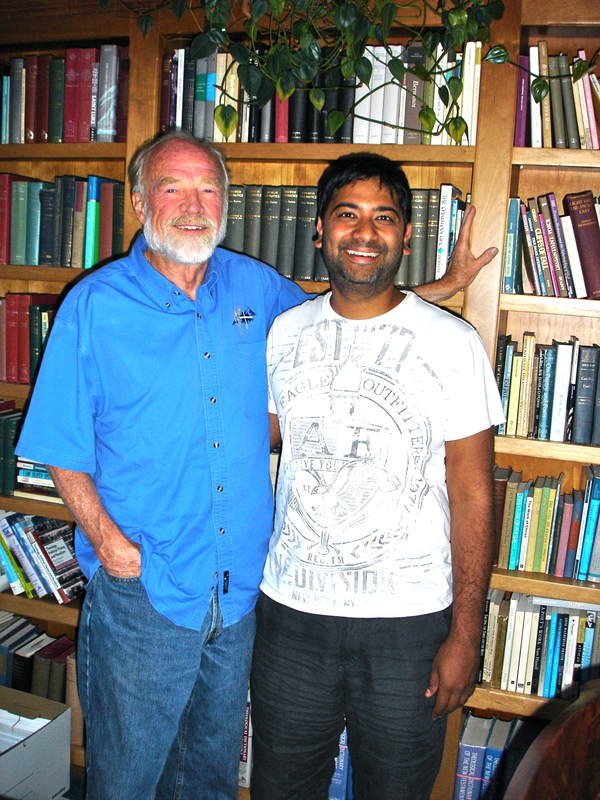 In the summer of 2010, through a series of connections helped largely by my publisher, I was able to write to Eugene Peterson. The first letter was mostly a ‘thank you’ for his blurb on my book, Secondhand Jesus. But his gracious response encouraged more boldness on my part. So I wrote again, this time to ask if I could ever visit him to wrestle through some questions that his books had provoked in me at a very pivotal time. My friend and colleague Daniel Grothe had written a similar request and had it granted, so I felt emboldened to ask. Peterson was gracious enough to say yes, and to allow one other person to come with me. And so it came to be that Aaron Stern, the pastor now of Mill City Church in Fort Collins, and I took a trip up to Montana. I have waited to write about my visit for a few reasons. One, I didn’t want it to be a kind of ‘Christian tourism’ post about meeting famous people. Secondly, I didn’t want to short-circuit the slow work of his words taking root in my heart. These are not sound-bytes; they are themes I have returned to over and over. It is difficult to overstate the impact that Peterson has had on our church, first through his books on pastoral ministry (“The Contemplative Pastor”, “Working the Angles”, “Under the Unpredictable Plant”), and through the visits that different ones of us have been able to make to the Peterson home. Our senior pastor, Brady Boyd went a few years after Daniel and I and was able to film an interview with Peterson that we showed at our conference that Fall. It is also difficult to summarize the influence that Peterson has had on my life and the way I think about pastoral ministry and the local church. I won’t attempt that. What I am aiming for here is a short reflection on three things from our visit which, I pray, are taking root in my heart. 1. Pastoral ministry is personal and local. The possibilities technology have afforded us come with a new set of temptations. For pastors, it is, more accurately, a new iteration of a very old temptation: the temptation to be noticed. The time we spend on platforms leaves us uncomfortable not being on one. We are quick to justify our reach for influence by saying that it is just a way to broadcast the Gospel, or to make Jesus famous (a goal, ironically, that He never seemed to pursue). Yet the very nature of our vocation requires sustained attention to a particular place. Like farmers, we ought to know our soil, planting and weeding with care and attentiveness. Of course even in farming, this sort of localized focus is a lost art, shrouded by the advent of GPS tractors and Round-Up-ready beans. Our visit to the Petersons featured surprisingly long, and often meandering talks. I was used to high profile pastors being quick and to the point, cutting to the chase, getting down to business, focusing on key takeaways and resolves. Not Peterson. He cared about learning about Aaron and me. He wanted to know about our journey into ministry, the challenges of leading in our church, and more. 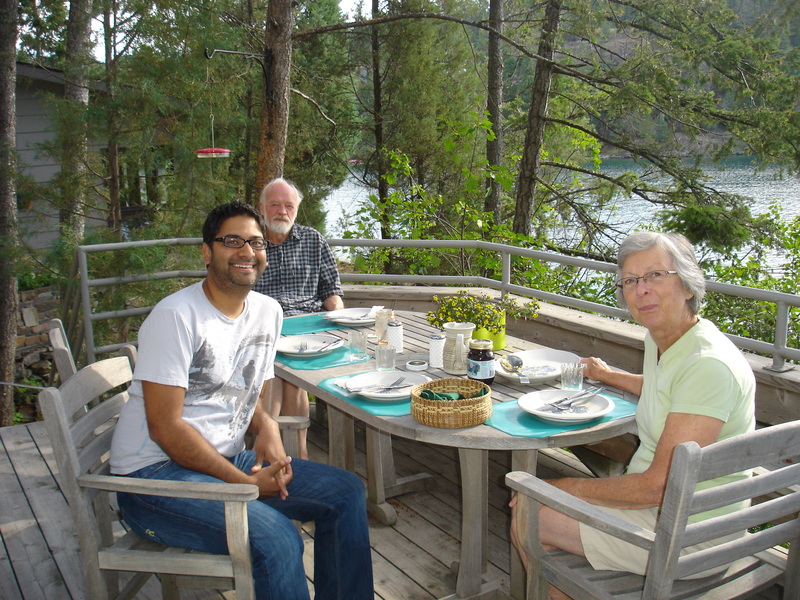 Over meals, his wife, Jan, joined us. Together, they practiced the art of paying attention– to us, to what the Lord was doing in us, and to how they might participate in it during our visit. I saw them embody what Peterson had written about. Think about it: this is the guy whose paraphrase of the Bible is wildly popular, and whose new series on spiritual theology is profoundly prophetic. Yet even the combination of influence and substance did not lead Peterson to hit the conference circuit in his post-pastoral life. In fact, Aaron and I were struck by how many invitations he routinely turns down. For Peterson, the larger the audience, the less likely truth will be clearly imparted. Crowds and conferences, opportunities and open doors, leaders and celebrities have never been more alluring than being paying attention to particular people in a particular place. When I am tempted to act out of a need to be noticed, when I refresh social media to see who has commented on my clever status update or latest blog, I am chastened by Peterson’s life and witness. This is not to say that pastors can only act and speak to those in their immediate context. Some have been called to write and speak outside it. But Peterson reminds us that the deepest difference our lives will make will be to the people closest to us– yes, family and friends, but also our community of faith, our local congregation. 2. Pastoral ministry is often slow, hidden work. Daniel had warned me after his visit that Peterson would take rather lengthy pauses before responding to a question and to not be alarmed by it. It was not a sign that he was offended or upset by the question; it was a mark of his lifelong habit of letting pastoral work be unhurried. In our conversations, there were no mass-produced answers to announce, no pithy truisms to make us write down. There was just careful, slow attention. When I am tempted to hurry through appointments, or get down to the thing a congregant needs help with, or deal with the problem that needs to be solved, I am convicted by recalling Eugene and Jan’s unhurried way. They give dignity to the unglamorous, ordinary work of pastoral ministry. The truth is, much of my life is nothing like what gets posted on social media. I can’t post about the couples I meet with in preparation for their marriage, or the coffee conversations with people struggling with faith or doubt. And there would certainly be nothing interesting about posting the unspectacular tasks like emails and phone calls and texts and meetings. We all post the highlights; but we live in the ordinary. And we are prone to amp up the highlights as if it were a competition. We would do better to embrace the raw, simple beauty of the slow and hidden work of pastoral work. 3. There is no perfect context in which to do pastoral ministry. In our last moments at the Petersons, Aaron and I wanted to know if this kind of approach to pastoral ministry was really possible in a context like ours, a mega-church. To be honest, many Peterson fans read his words as confirmation of their own negative appraisal of large churches. They assume all big churches are enterprises, and all who pastor such churches are the entrepreneurial ‘shopkeepers’ Peterson wrote about. But Peterson himself insists that he was making no such suggestion. Pastors can turn from shepherds to shopkeepers in churches of all sizes and denominations. This was not a big church problem; it was a modern church problem. When I am tempted to imagine more perfect scenarios for ministry, I am reminded of his words. ‘As long as you have a space where you can be the kind of pastor you sense the Lord calling you to be, then you can stay and do good work there,’ he said as his warm smile made his eyes sparkle. I have never forgotten that. You know the beauty of it? As I have given myself to the Spirit’s work of forming me to be the kind of pastor who is personal and local first, who embraces a slow and hidden work, right here at New Life Church, it has become nearly impossible to imagine myself in any other place. Whatever work I am able to do beyond our church is only possible because of my rootedness in it. Fruit, after all, may be enjoyed beyond the garden from whence it came; but fruit cannot grow from a tree with no roots. Such is the witness of the life of Eugene Peterson. May God give us grace to learn from such men and women. Love it Glenn! Way model this for our congregation. Beautiful, GP! Seeing the pictures made me miss them. And they made me grateful for the incredible honor. Let’s try to be faithful long enough that maybe, just maybe, some young punks would receive encouragement from our lives. Such an inspiring story! I’ve been following your work since the Praxis Conference in Tulsa last year, and you are clearly following in Eugene Peterson’s footsteps. I just was notified of my acceptance to seminary today, and I hope to be the kind of pastor that you and Pastor Peterson both are. Rich thoughts Glenn! Thank you so much for sharing your meditations from your time with the Petersons. These truths are encouraging, life-giving and ones that I sense I’ll be chewing on. You’re an inspiration and a joy to glean from! Thanks for sharing wisdom from Peterson, and for adding your own insights. So much good in here from both of you.